Yikes! We're already into March, can y'all believe it?! This past week has been almost bursting at the seams (quite literally... we've sown many things for the Elders this week) with miracles, joy and whatnot! 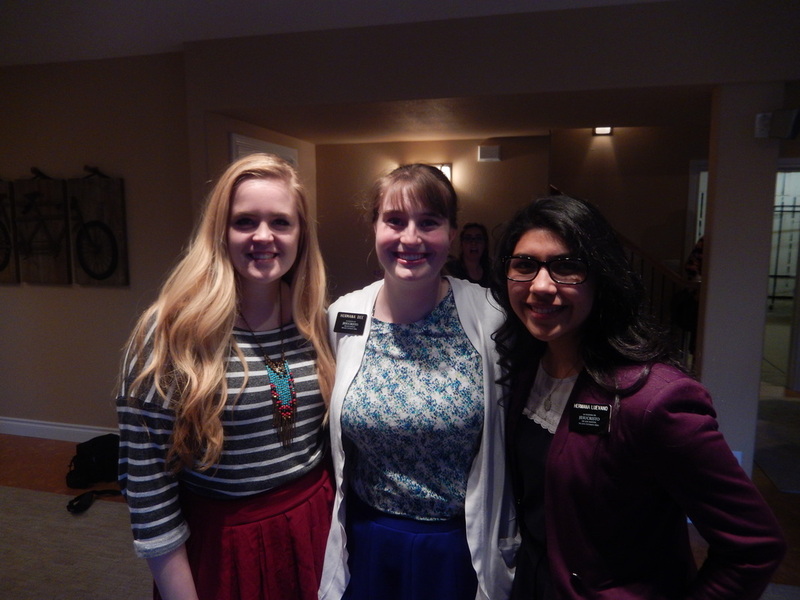 This week we had a FHE with Amparo and her family with some English members that live right next door to them! It was a blast, even though there is a language difference. I feel blessed to be able to know not only English but Spanish as well! So blessed with this gift and with the Gospel as well, for I know that the Gospel is true in all languages, and that the Spirit can be felt by anyone with a sincere heart. Had quite a few meetings this past week! And due to one of the meetings I was able to see mi hermanita, Hna Luevano who I trained. And she got to see Hna Knight- my companion- who she trained! See the Generation photo below! I am so blessed to attend these meetings, I get to learn from the very best, the leadership of the WYM! This week we were able to attend the baptism of a girl in the Branch, her mom and sister were baptized in January, and since then her mom has become my Mom in Yakima, and the two daughters have become like my sisters! They are so amazing and she has such an sweet spirit! I feel blessed to know her and to have been there at her baptism! Have a great week, stay safe, and learn something! Last District Counsel as part of the Columbia Basin . 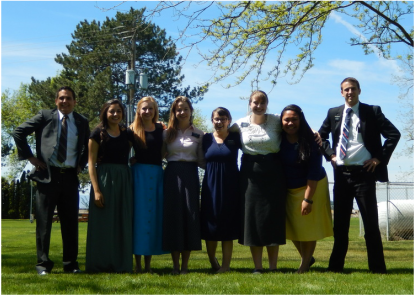 I will be at the Mexico MTC till February 10, 2015. After then, you can write me at the mission home address. Any other questions, comments, or whatnot, please contact my mom, Brenda Dee.